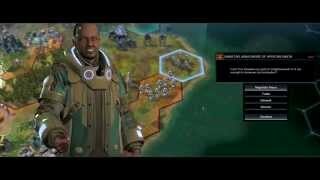 Everyone's favorite Ghandi nuclear aggression simulator is back, but this time Civilization has slipped the surly bonds of Earth to take on greener, alien pastures unknown in Sid Meier’s Civilization: Beyond Earth. Beyond Earth sees a break from Earth-based colony simulator and takes off in a new science-fiction themed RTS adventure. The game lets players embark from a wounded, failing Earth to a new frontier where they'll be exploring and colonizing an alien planet, and building their new civilization in space. In a new addition, Beyond Earth propels the development of human civilization beyond what we're used to in a Civ game, exploring humanity's future on an alien world. Players will lead factions divided by contrasting cultures and evolve their new civilizations to reflect their chosen destiny from both a narrative and mechanics perspective. In the brief demo we saw, we began as a fledgling outpost on our newly colonized planet, surrounded by the myriad of dangers such as hulking, alien monsters our infant settlement had no chance of defeating, and poisonous miasma fields that made exploration treacherous. As with every Civ game, developing your colony is the key to victory, as is diversifying your units and structures to suit your vision, with energy being the currency - the key factor in helping the colony grow and, more importantly, win. To help us on our way, there are various assets available to strengthen our cause: resource pod drops, and various stations to trade with that give a unique boon to your colony such as a new unit. As we roamed the land, we saw the many other locations to explore in the vast alien terrain; you've got ancient ruins, downed ships, and satellites to pillage. But there are also other colonies that we can interact with, for better and for worse, with the options of trade negotiations at one end of the spectrum (helped by a similar colony ethos) or outright war with leaders we have no hope of peaceful existence with. One of the colonies that we shared a similar ethos with was Suzanne Marjorie Fielding, who was a part of the ARC (American Reclamation Corporation). Because of our colony's Affiliation (one of the three progressions that affect ethics, skills, research, and architecture), which was Supremacy, we were able to interact advantageously, maintaining trade. Supremacy focuses on the application of technology to meld the alien environment as we see fit, and then using our collective knowledge to forward humanity and, if needed, make it easier to colonize new worlds. Another is Harmony; this focuses on humanity's ability to co-exist peacefully within their environment, seeking to improve and adapt. Finally, we have Purity; this focuses on adaptation, bio-tech advancement, and generally enhancing the human body through advanced technology so, in a sense, a halfway point between space hippies (Harmony) and Orwellian technocrats (Supremacy). So, back to Suzanne, our partner in Affinity. Because we had good standing with her, we were able to send a spy over to her colony undetected and gather various secrets, which leveled up our spy. But on the other, not so friendly side of things, we approached Samatar Jama Barre who was affiliated with Harmony. Due to the divergence in ideals, trade and negation was impossible - plus, the guy had recently swooped in on a part of land we were hoping to colonize, which had access to an invaluable mineral. With no hope of negotiation and with him squatting on much needed minerals, we declared war on Samatar, using our mech and human units (thanks to Supremacy) to cut down swathes of his army. 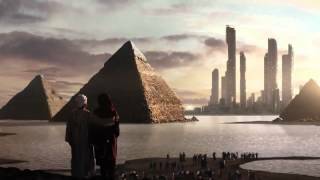 Then, we assimilated their settlement into ours, claiming the resources for ourselves, and putting Samar's followers under the heel of Supremacy, thus extending our grasp on the world. 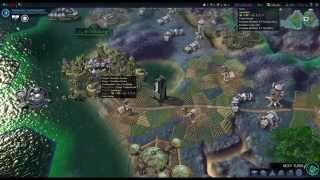 As well as our chosen Affinities, we have the return of Civ's Tech advancement. However, where we once had a "tree," we now have the player define their advancement through a "tech web" which branches off in several directions, adding another layer to replayability. With the trek into space also comes a new way to deliver narrative, which in this Civ is at the forefront of the game. We begin with the knowledge that Earth is a dead planet and that we've fled to a new environment, but the there is an overarching story told through missions. Missions flesh out both the alien society and the direction we take in the game. The player acts as the game's narrative architect. Under the player's manipulation, the story leads to multiple conclusions and provides multiple unique playing experiences that beg for multiple playthroughs. With Civilization: Beyond Earth, we're seeing a change in the core narrative mechanic of the franchise more than anything else. Fans of previous Civ games will still have all the mechanics and RTS features that they're used to, but tweaked and improved to adapt to their new environment, much like you'll be doing when you blast off from Earth to conquer new and unexplored terrain. Launch date is scheduled for this Fall on Windows, OSX, and Linux.